Background & Objective: Alzheimer’s disease (AD) and Parkinson’s disease (PD) affect an increasing number of the elderly population worldwide. The existing treatments mainly improve the core symptoms of AD and PD in a temporary manner and cause alarming side effects. Naturally occurring flavonoids are well-documented for neuroprotective and neurorestorative effects against various neurodegenerative diseases. 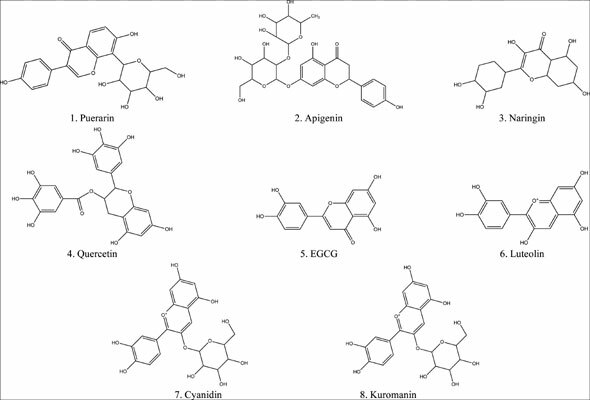 Thus, we analyzed the pharmacokinetics of eight potent natural products flavonoids for the druggability and discussed the neuroprotective and neurorestorative effects and the underlying mechanisms. Conclusion: This review provides valuable clues for the development of novel therapeutics against neurodegenerative diseases. Neurodegenerative diseases, flavonoids, neuroprotective, neurorestorative, pharmacological appraisal, pathogenesis.